All of these pieces are from watches and clocks that I took apart. 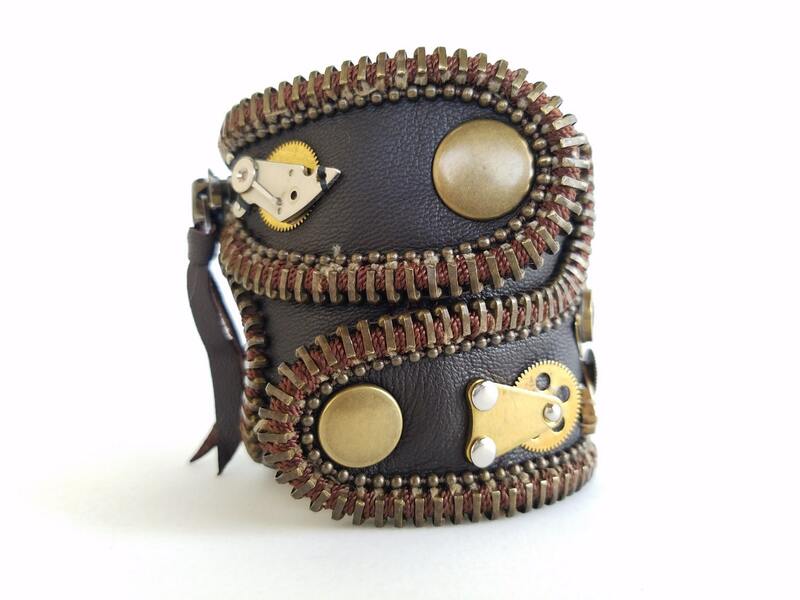 Original and one of a kind cuff bracelet made of genuine leather. 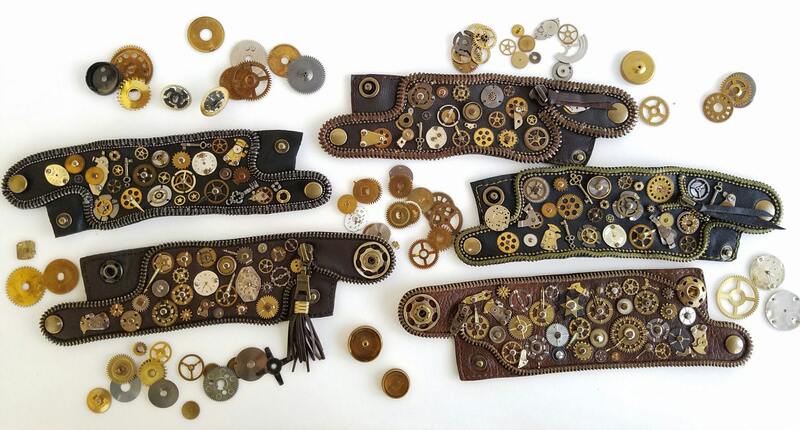 Brown leather, with watch parts taken from old watches. 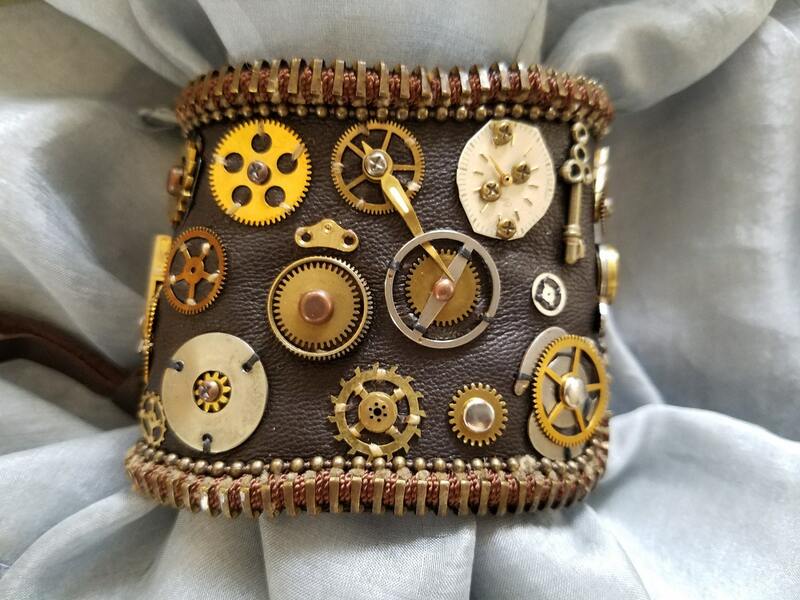 Each Bracelet is unique . 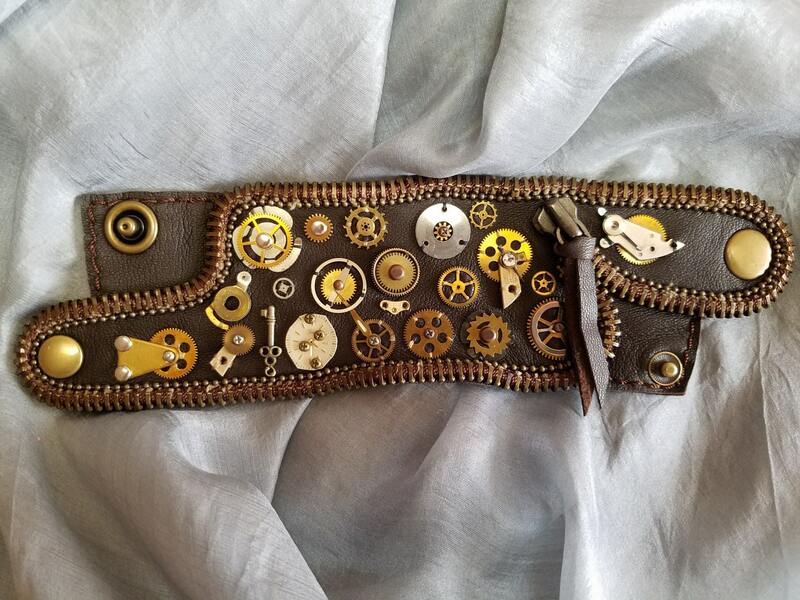 It can be made of different color leather, I always try to make it as close to this one as possible. Depending on materials available sometimes it's not always possible. 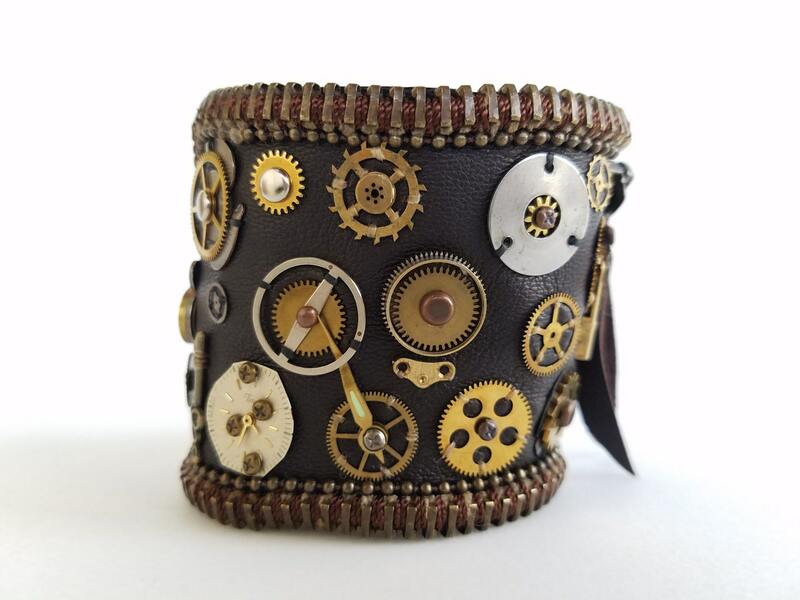 Color options are available and each cuff is custom fit to your size.